SHOREHAM, Vt.— WhistlePig, the no. 1 distiller in the fast growing, ultra-premium and luxury rye whiskey category, has announced that it received a $55 million revolving line of credit from JPMorgan Chase, extending the existing $40 million line with JP Morgan Chase, which was received in April 2018. The credit facility will provide the company with incremental funding to accelerate the production and aging of premium rye whiskey. “We’re excited to extend our strong relationship with JPMorgan’s talented credit and beverage banking teams. This credit facility will allow us to further scale our business,” said Alex Roberts, WhistlePig’s chief financial officer. “This additional investment comes at an exciting time for WhistlePig. Our company continues to lead the resurgence of the ultra-premium and luxury rye whiskey category, we look forward to continuing to introduce new products and innovate across the category,” says WhistlePig CEO, Jeff Kozak. Founded in 2008,WhistlePig is the premier aged rye whiskey, featuring the bold and often untapped flavor of rye. WhistlePig is leading a surge of innovation in the emerging field of North American whiskey. 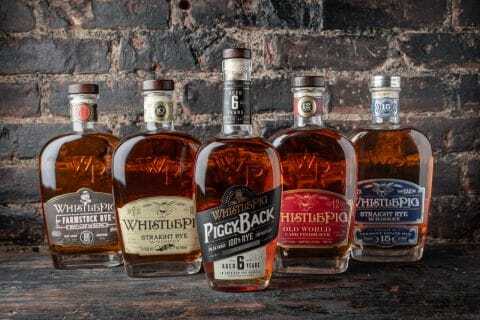 As the most decorated rye whiskey –having received the coveted ‘Best in Show Whiskey’ title from the 2017 SanFrancisco World Spirits Competition, WhistlePig is widely viewed as the world’s finest Rye. With the opening of its distillery on its 500-acre Vermont farm in the fall of 2015, WhistlePig has also become one of the leading farm-to-bottle rye whiskeys in the world. Visit whistlepigrye.com.